The Tacoma Fire Department (TFD) Honor Guard was formed in late 1999 with five members. Officially up and running in early 2000, the TFD Honor Guard had participated in over 20 events by the end of the first year. 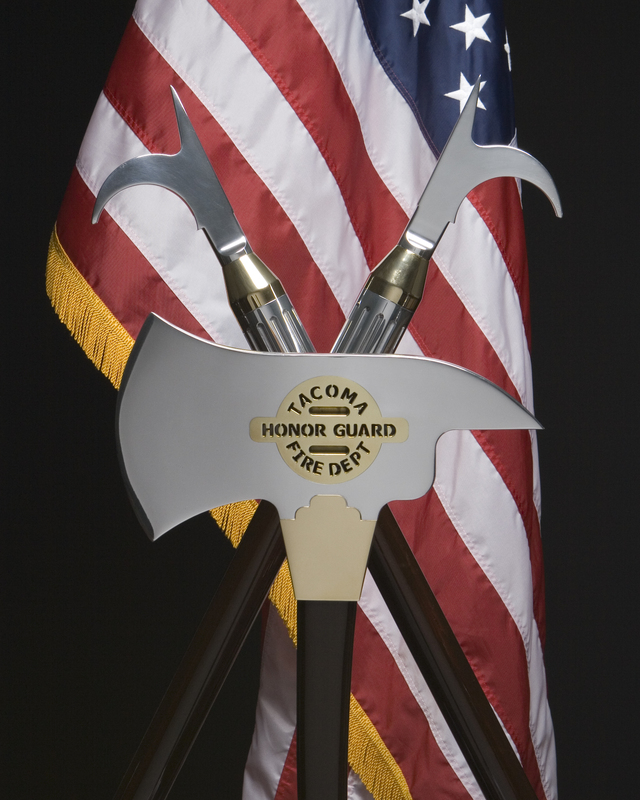 The mission of the Honor Guard is to honor, remember and celebrate active, retired and fallen Tacoma Fire Department members. In addition, the TFD Honor Guard is proud to offer services to Firefighters from across the state and nation. The unit has participated in events ranging from memorial services to parades, the Miss Washington Pageant, the Olympic Torch Relay, Mariners games at Safeco Field and honoring our fallen in Colorado at the IAFF Fallen Firefighter Memorial. The Honor Guard has a high profile role in the public relations efforts of the Tacoma Fire Department. The diversity we proudly celebrate in our department is reflected in the ranks of the Honor Guard. Members include: BC Bruce Bouyer, FF Chris Dideon, Commander FF Shannon Gibson, FF Chris Galbraith, FF/PM Kurt Gordon, FF/PM Sionna Stallings, FF Glenn Malit, FF Matt Flemming, FF Matt Graham, FF Scott Hesse, Capt. Lee Reid, FF Tory Tolefree, FF Jon Quon, FF Tim Crane, FF/PM Scott Streeper, FF Miguel Vichot, FF Skylar Palmer, FF Jordan Rasmussen, FF Alix Chapman, FF Lawrence Woods, FF Sage Majors, FF Brad Shumate, and Commander Emeritus Karen Leming. Honor Guard members are all Firefighters who volunteer their time and financial support. Although we have some financial backing, there are many equipment and clothing items that are not covered. Financial donations not only assist us in acquiring additional needed items, but also help defray the out-of-pocket expenditures of our members. Donations may be sent to Firefighters Local #31, 1109 South 50th, Tacoma, WA, 98408. Please email the completed payroll deduction form to melindaiafflocal31@gmail.